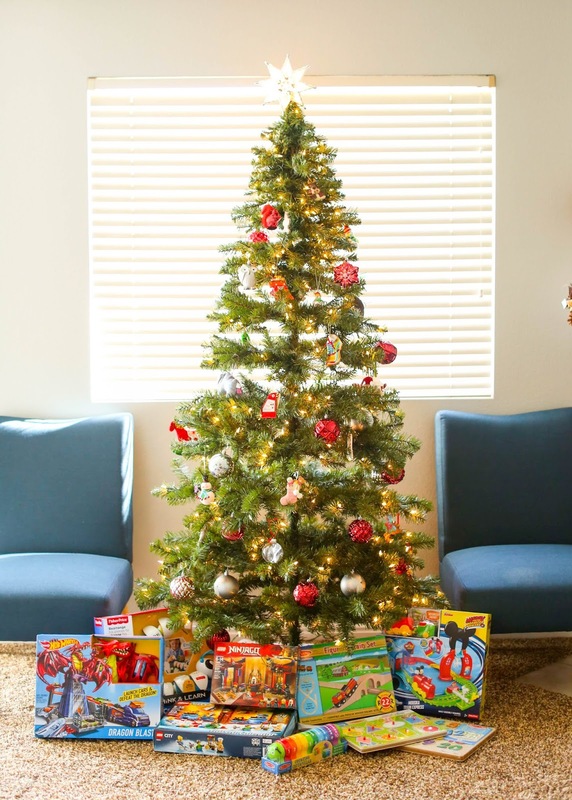 Christmastime is officially upon us, and being the super excited Christmas lover that I am, my kids have already planned their Christmas wish lists, the shopping has been done, and I'm anxiously waiting for that perfect moment when the kids are in school, and I can blast the Christmas music and wrap all their presents. Kohl's is a store that I've fallen more and more in love with over the last year or so. Mainly because it's the closest department store to my house, but also because it's a one stop shop where I can get all my Christmas shopping done for the entire family in one place. 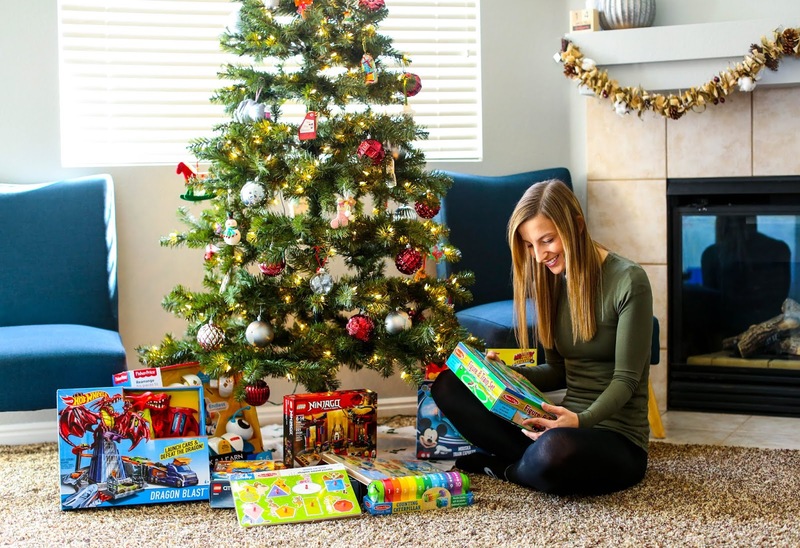 They have a huge toy selection with all of my personal favorite brands like Melissa and Doug, Fisher Price, Hot Wheels, and Lego just to name a few. I love Melissa and Doug toys because of their vintage look and feel, and that the solid wood makes them durable and last a long time. They're definitely the type of toy that can be saved for a long time and passed down from one generation to another. 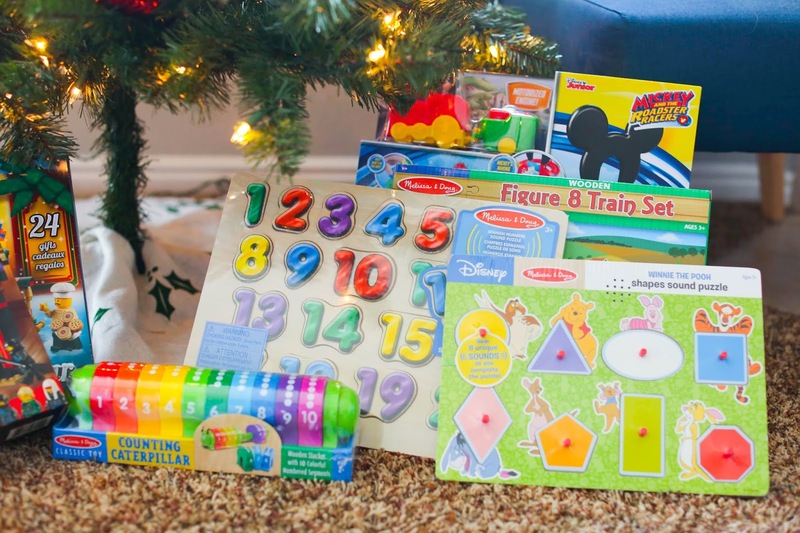 We purchased some learning toys for Em like a really fun shapes and number puzzle, along with a counting caterpillar to help her learn those important number skills, while also working on fine motor skills as well. Fisher Price is a brand that I vividly remember from my own childhood, so I love that it's a classic that my kids know and love too. 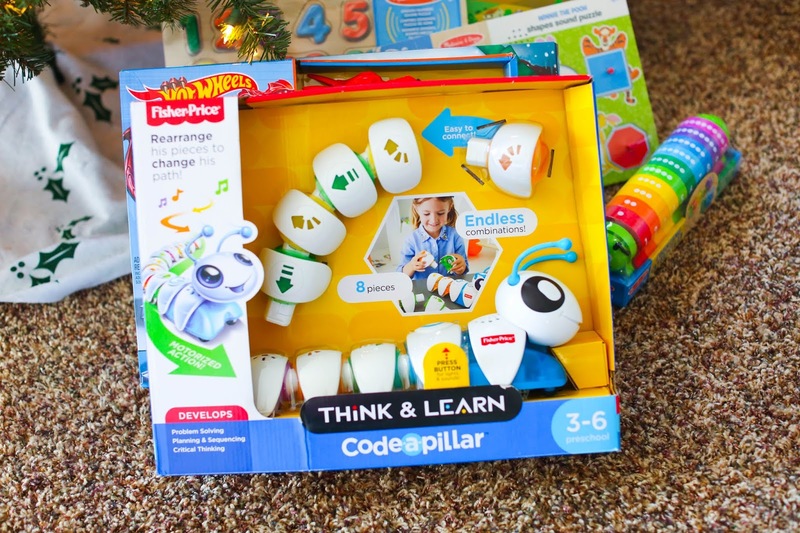 I've had my eye on the Think & Learn Code-a-pillar for ages now, and was so excited to see that Kohl's carried it this holiday season. Coding is going to be such a huge part of our kid's futures, and so I love toys that can help facilitate that knowledge from an early age. 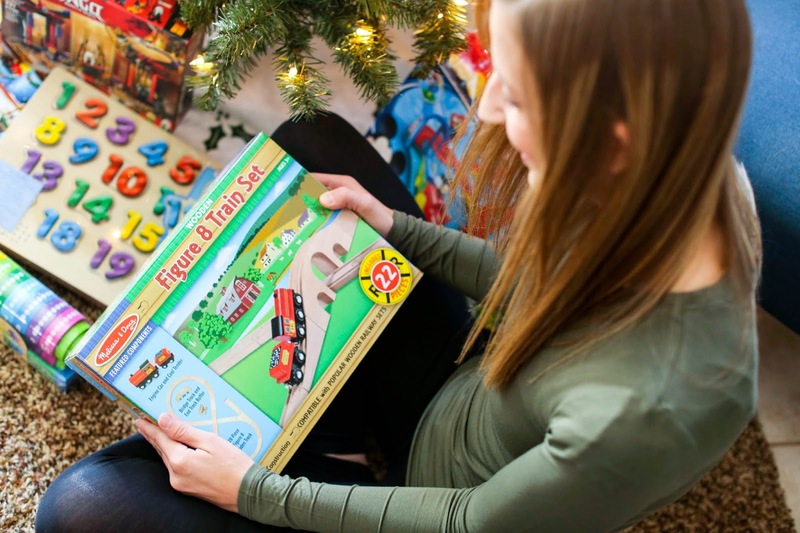 Em is also obsessed with all things train and Mickey Mouse right now, so we picked her up the Fisher Price Mickey Mouse Clubhouse Mouska Train Express Playset, which I know she's going to be wildly excited about come Christmas day! Jay is totally turning into that little kid that loves all things Dragons and ninjas right now. 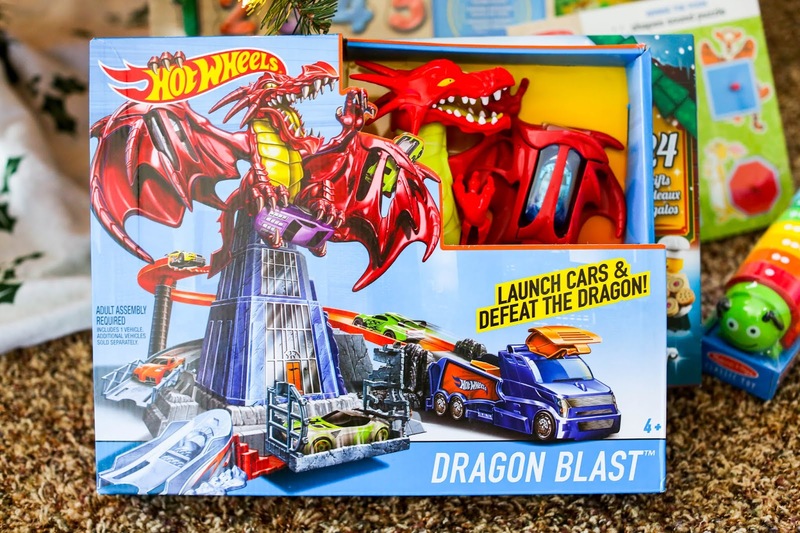 He has about one million Hot Wheels cars cluttering up our house, and when I saw they had a Dragon Blast Play Set, I know he would absolutely love it. I remember my brother got a Hot Wheels track one year for Christmas, and he and my dad spent half the day putting it together, that's the kind of memory I hope Jay has from his Christmases, working with dad, assembling toys, and having fun the entire day because of it. Finally we picked up a couple Lego items. Jay has watched probably every episode of Ninjago on Netflix right now, and so I knew a Ninjago Lego set was an absolute must. 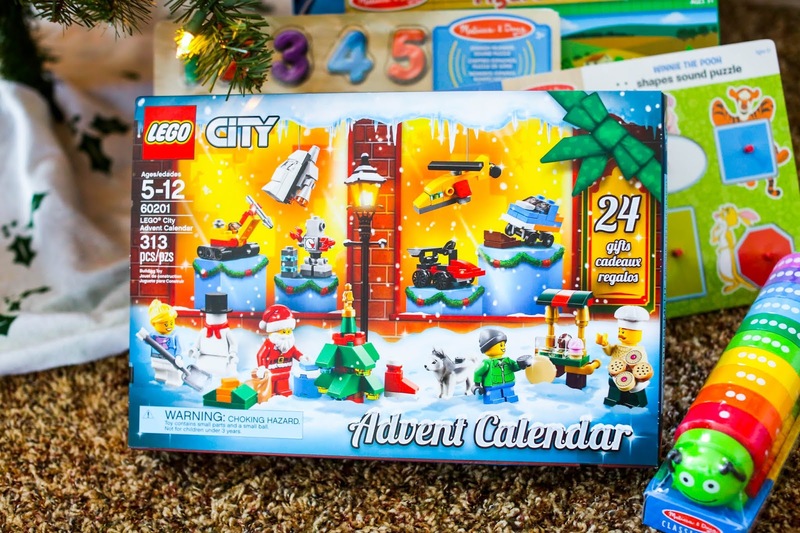 One thing I'm super excited for though is the Lego advent Calendar. I've had my eye on one for the kids for years now, and I'm so glad that this was the year we could finally make it happen. 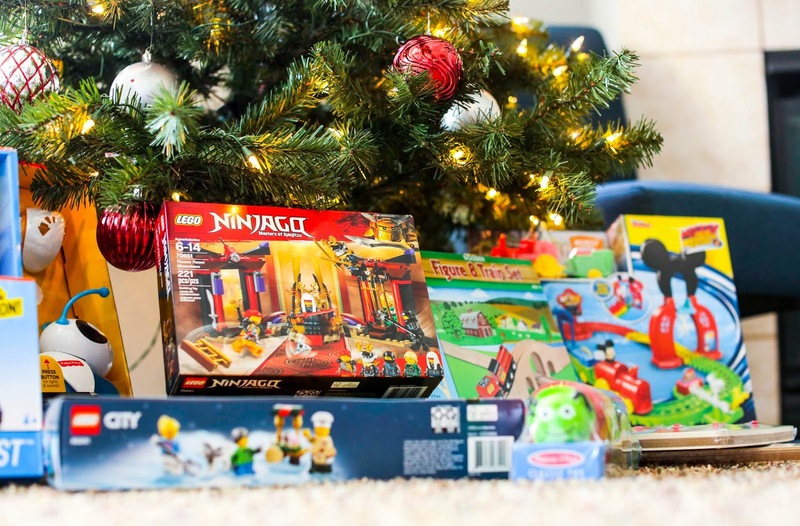 Jay is Lego obsessed and always building something, so this will be a fun way to count to Christmas with him. I love shopping at Kohl's because they have a wide variety toys that are fit every kid's needs and wishes. They really have something for everyone. Right now when you purchase from Kohl's you can earn Kohl's Cash, and you can use that to redeem on future purchases just like a gift card. You can also save additional money by shopping online and having your items shipped directly to your local store for pickup. It really is a win-win for the kids, and for mom's wallet.